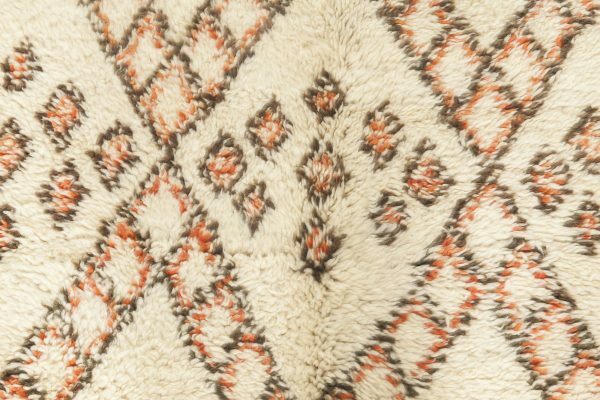 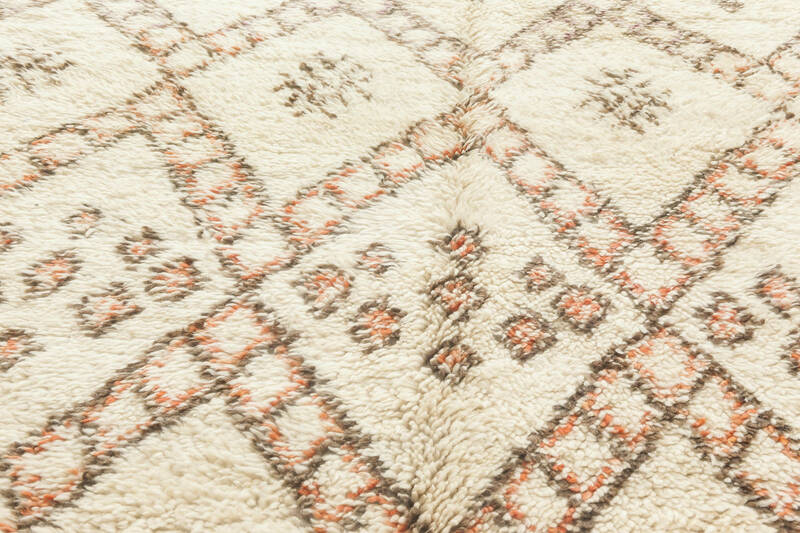 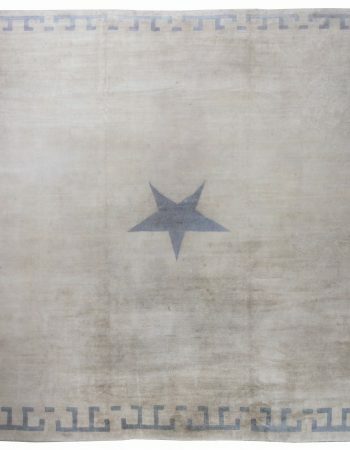 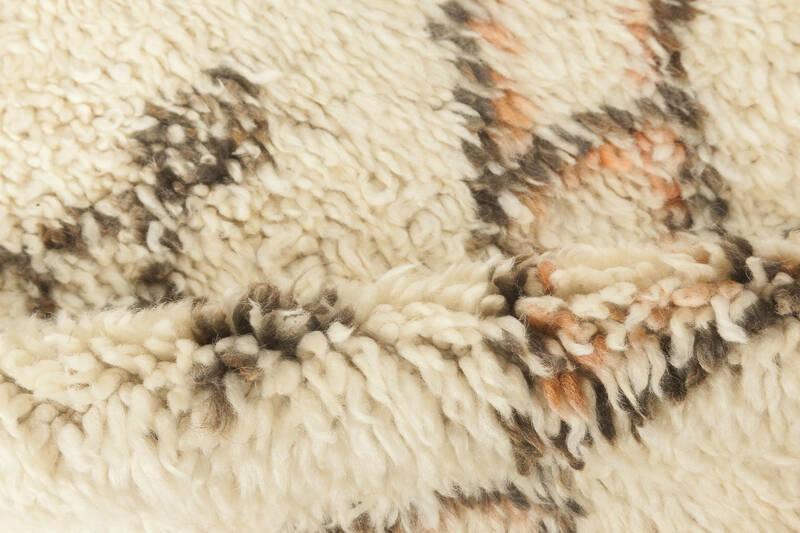 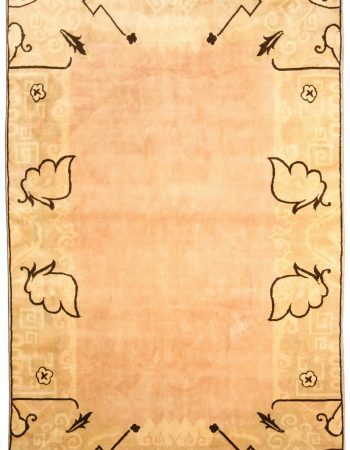 This fabulous vintage rug belongs to the category of Beni Ourains, extremely praised by the mid-20th century Modernists. Just one look at its tribal design and shaggy pile is enough to understand this fascination which continues to this day among the connoisseurs of decorating. 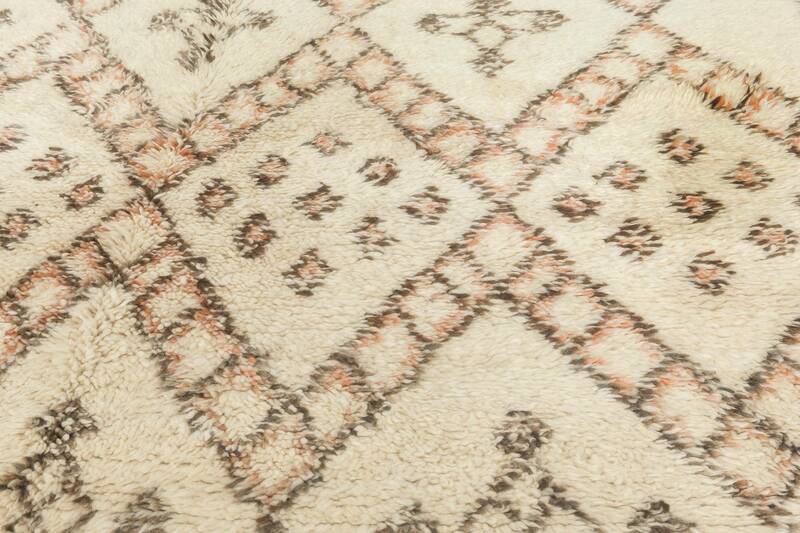 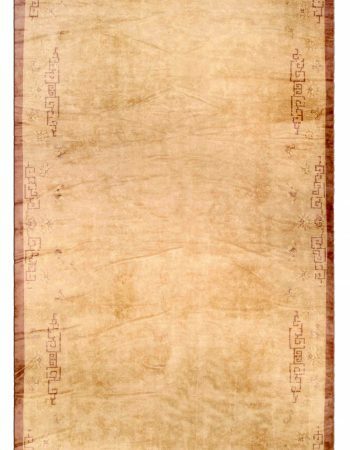 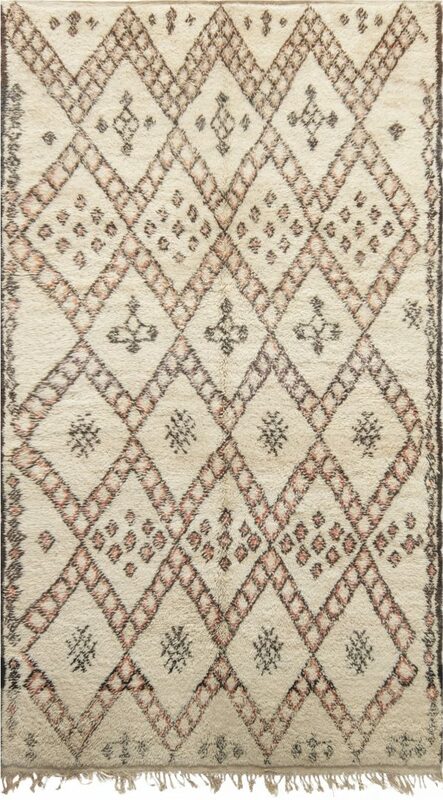 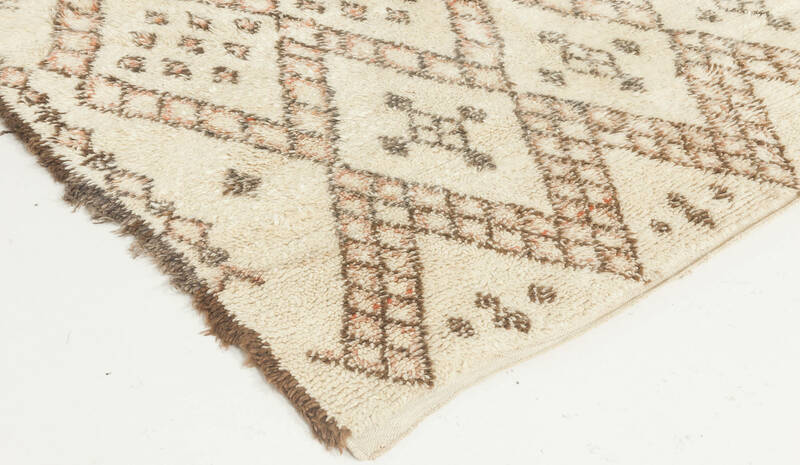 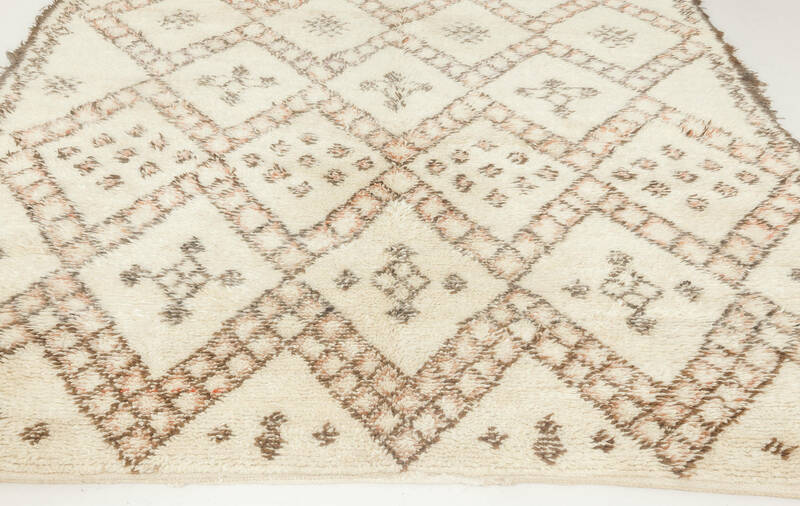 Finished with a lovely fringe, the combination of brown and carmine geometric motifs against the off-white background is versatile enough to easily fit into any kind of modern interior arrangement. Carefully hand-knotted of top-notch wool, the piece is distinguished by upmost durability which allowed it to survive till our times in perfect condition. 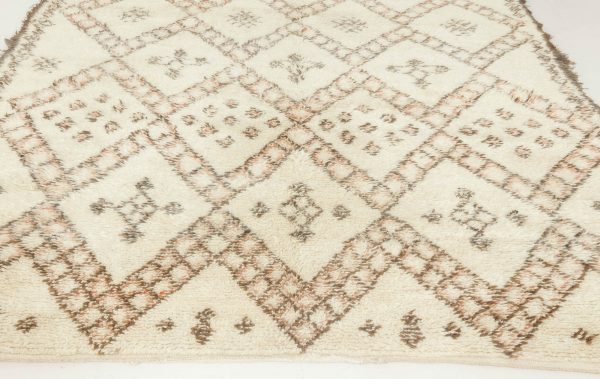 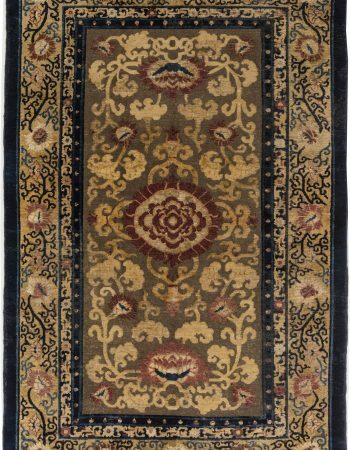 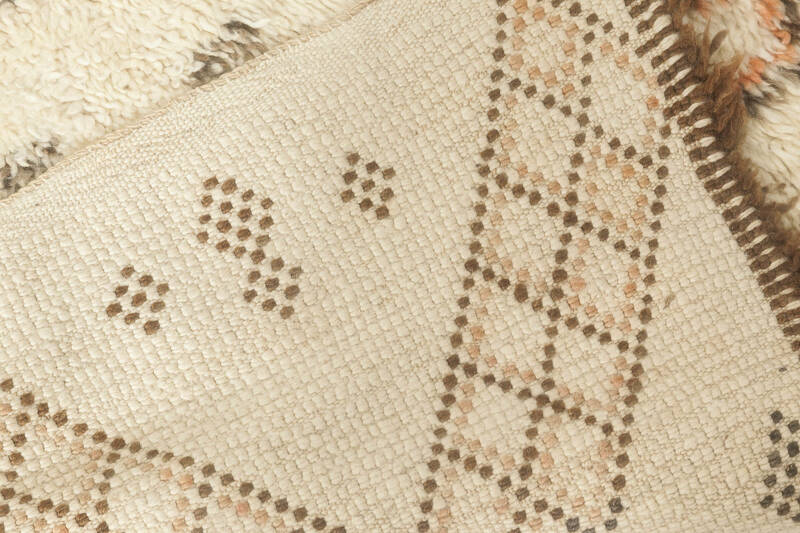 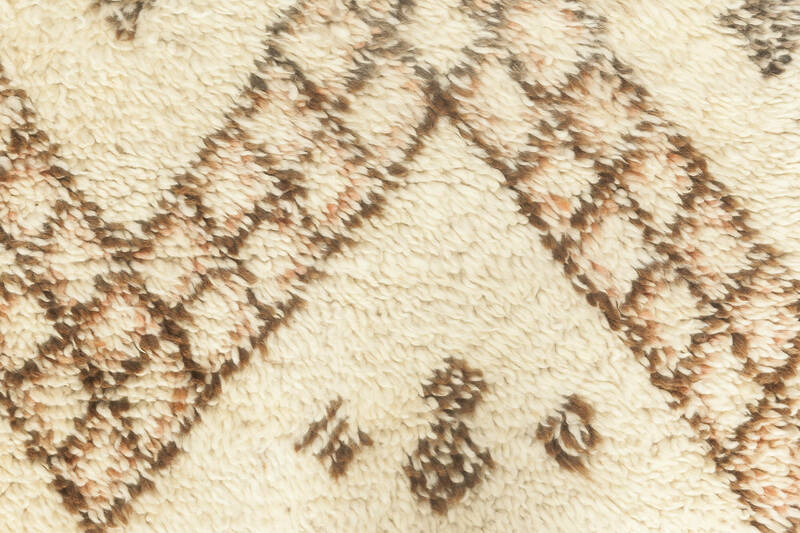 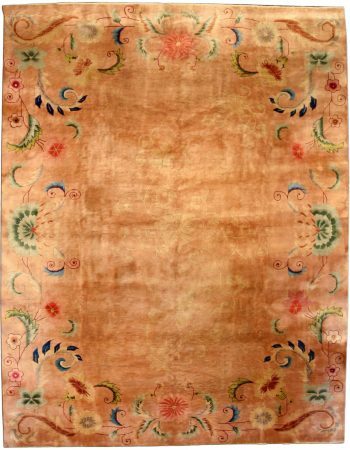 If properly cared for, the vintage rug will withstand years of usage bringing in recherché charm and effortless elegance of Moroccan craft.